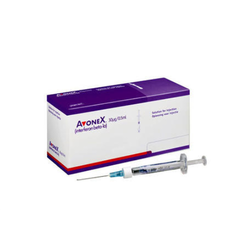 Our product range includes a wide range of avonex, hepcinat lp, ledviclear, hepcvir l and triomune tablet. Interferon beta-1b is a man-made version of a naturally occurring protein. It is used to treat patients with relapsing forms of MS (course of disease where symptoms flare up for a short time, then go away). Interferon beta-1b does not cure MS but may reduce the number of disease flare-ups. Interferon beta-1b may be prescribed for other uses. A flourishing enterprise in this domain, engaged in presenting a wide range of Hepcinat LP. 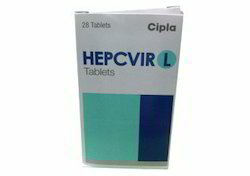 This drug is used for treating patients suffering from chronic hepatitis C. The offered drug is highly effective and cures the issues within a limited time period. In addition with it, the formulation of the drug has been clinically approved for the related patients. Health chemical formulas and salts are used for forming the health drug. Also, clients can get the drug from us at reasonable rates from us. 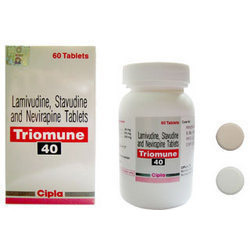 Ledviclear offered is made available under brand name Ledviclear Tablets and contains Sofosbuvir 400 Mg & Ledipasvir 90 mg.
Triomune is a co-formulation of three drugs commonly used in the management of HIV infection. 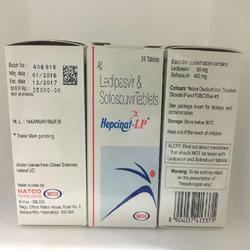 It contains generic versions of the nucleoside reverse transcriptase inhibitors lamivudine (3TC) and d4T (stavudine) and the non-nucleoside RTI, nevirapine (NVP). 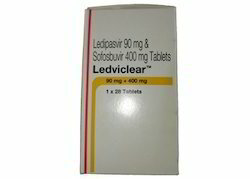 Looking for Sofosbuvir Ledipasvir ?